It’s a number that impacts so many parts of your life. Your method of transportation, your home, even your education are so heavily reliant on three digits. In the 21st century, having a good credit score is what sets you up for financial success—or denies you financial opportunity. Many are already aware of the importance and influence of a good credit score, but might not know how to ascertain one. It’d be nice if your credit score was something you can pick out, like the best looking bunch of bananas from the supermarket. The reality involves a bit more work and precision. Even if you’ve had a low credit score, even if you don’t have any idea what your credit score is, it’s not too late to start making changes that can open financial doors for you everywhere. Without giving too much away, one of the reasons First Western Federal Savings Bank is so committed to your credit score is because we can assist you in getting a non-recourse loan. With a non-recourse loan, a wealth of opportunities can present themselves to you, especially in terms of building your financial assets and portfolio as a whole. Learn more about the importance of a good credit score, and contact First Western Federal Savings Bank to inquire about non-recourse loans and CRP payments! Usage. This refers to how often you make financial purchases, specifically on a credit basis. How often you use a credit card, any loans that you might have (such as an automotive loan or student loans)—each of these are examples of using credit. Punctuality. If you just spend and spend with your credit card, or take out loans which are never paid, your score will absolutely tank. In tandem with using credit over a period of time comes the necessity of punctuality—or in other words, paying off your credit consistently, and on time. Credit is doled out on the assumption that you will pay it back, and in order to have a good score, you need to pay things back in a timely manner. A credit score is comprised of your usage of credit, the length of time you’ve been using (and paying off) credit, and the consistency and punctuality of making payments on loans. A good credit score means you have used credit over a decent amount of time, and have paid off credit diligently and consistently. Why strive for a good score? When seeking insurance, some companies look to credit scores to decide whether they want to cover you, and to what extent. As The Balance explains, your credit score can also impact the rates that you’re offered. Loans, of any variety, will (or won’t) be offered based on your credit score. One of the most common reasons that a credit score is checked is when applying for a loan to purchase a property. In the same article from The Balance, they state the importance of a credit score in regards to getting a loan: “Since [potential lenders] don’t know you personally, they try to make a prediction based on your previous loan experiences. A loan offered with no credit check is generally expensive.” With a good credit score, you have a better opportunity to get a better offer for a loan. Landlords, potential roommates, apartment complexes—each of these entities have been known to ask for a credit score in order to get a sense of your fiscal responsibility. They want to ensure you’re the type of person who can pay things in a timely manner, well before trusting you enough to hand over the keys. A bad credit score might mean the difference before getting that apartment with the convenient location and going on the hunt for a living space once more. There are two types of credit scores that are most frequently studied: FICO® and VantageScore. Their ranges are relatively similar, but for the purpose of this post, we’ll focus on FICO ranges, as this is the credit score system that’s more commonly known. 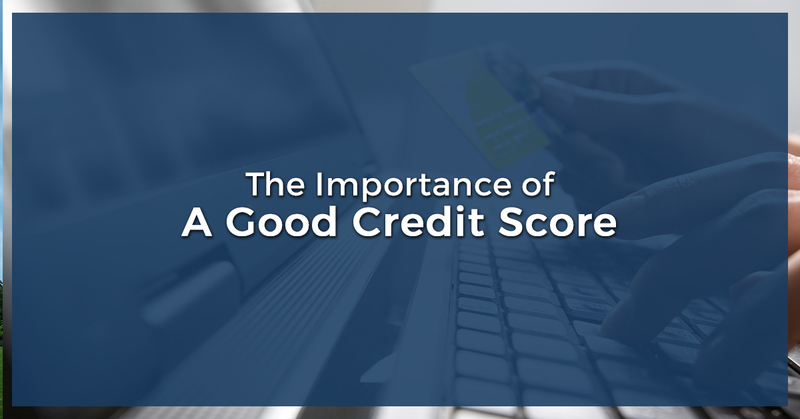 As Experian reports, 37 percent of people have a rating lower than “Good.” This means that more than one in three people in the United States do not have an optimal score, and might not have the opportunities that an improved credit score can bring. Ultimately, your credit score is a represents your trustworthiness. This is what lenders rely on to ensure that you are a financial responsible and reliable person, to whom they can lend money. With a good credit score, you are proving your worth as someone who can be trusted with paying back money. This ends up creating so many opportunities to you as a result. In a future blog, we’ll dive into some of the many ways you can improve (or maintain) your credit score. But in the meantime, taking a moment to reflect on your credit score is an excellent step in understanding your financial prospects that await. One of the many things you can do with a good credit score is look into getting a non-recourse loan. By using your self-directed IRA in tandem with a non-recourse loan from First Western Federal Savings Bank, you can acquire a property to turn into a rental, which could bring you additional revenue and add powerful assets to your financial portfolio. When you’re ready to work with us, we are more than ready to help. Contact our team at First Western Federal Savings Bank today!